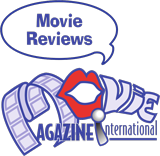 The 74th Venice International Film Festival ran from Aug 31 through Sept 9th. 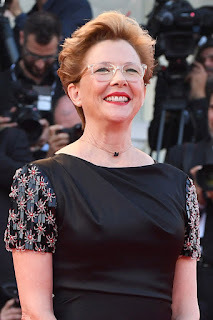 Jury president Annette Bening, the first woman to be the honored in over a decade as the head of the jury spoke about the underrepresentation of women at the festival with only one film in the 21 films of the official competition directed by a woman. Jane Fonda and Robert Redford were the recipients of the Golden Lion Lifetime Achievement Award. The two actors were honored on September 1st who both star in Our Souls at Night by Ritesh Batra. Based on the novel written by Kent Haruf , the Netflix film produced by Redford is set in Colorado. Jane Fonda plays Addie Moore (Jane Fonda) who pays her neighbor, Louis Waters (Robert Redford) a visit. Both lost their spouses and have had little contact over the years. The film will be released later this year. Fonda and Redford have not starred opposite each other since Barefoot in the Park, made in 1967. Director Alberto Barbera stated that Jane Fonda is “one of the great protagonists of contemporary International cinema” and Robert Redford “has used his onscreen talent and success to make films about issues he cared about and to pave the way for other independent filmmakers like him”. The winner of the Golden Lion this year went to Guillermo del Toro for The Shape of Water starring Sadie Hawkins. The film is set during the Cold War. Elisa (played by Hawkins) is trapped in a life of silence and isolation with many other people. One day she discovers a classified secret experiment in the high-security laboratory where she works: an living aquatic monster from the Amazon.The monster is reminiscent of Hellboy's aquatic thinker Abraham "Abe" Sapien. The Shape of Water will be featured at the Mill Valley Film Festival next month and released in theatres December 8. The winner of the Best Actress Volpi Cup this year went to Charlotte Rampling for her role in Andrea Pallaoro’s Hannah. She plays a woman whose husband has been imprisoned and who finds herself alone struggling with the loss. One of this year’s outrages was the arrest of Ziad Doueiri in Lebanon, director of The Insult, a film produced by Julie Gayet’s company Rouge. The Best Actor Volpi Cup in the final awards went to Kamel El Bash, actor in The Insult. Gayet spoke out calling the arrest an intimidation – an absurd and medieval pretext, on the eve of the release of his film in Beirut. ” She said that The Insult is a film that promotes discussion, peace and the importance of being open. For the first time at Venice there was a special Virtual Reality competition with 22 films. The Sandroom La Camera Insabbiata (2017) by Laurie Anderson and Hsin-chien Huang won the prize for best VR experience. The experience in the VR space is by flying or gliding. The walls are made of chalk boards filled with texts and writing. With in the space is a special room where if you sing the song materializes into a sculpture which remains for future visitors. Next week more from the Venice Film Festival.